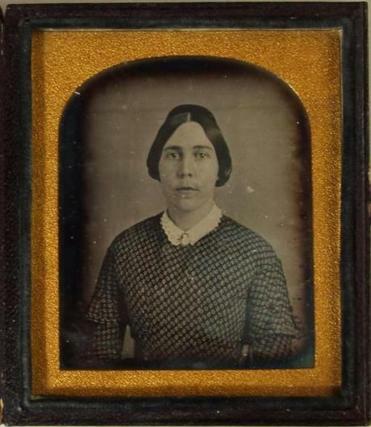 The Concord Museum was recently bequeathed this previously unknown image of Sophia Thoreau. Given the years of meticulous planning the Concord Museum has put into planning for 2017’s bicentennial of the birth of Henry David Thoreau, curator David Wood certainly wasn’t expecting any birthday surprises. And yet he received one, a lightning bolt of sorts that almost seems to have come from the ghost of Thoreau himself. Last month, the museum received word of a completely unexpected bequest — a daguerreotype image of Thoreau’s sister Sophia that no one at the museum previously even knew existed. 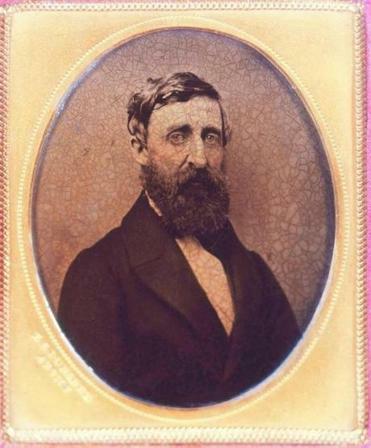 The daguerreotype will be added to the exhibit “His Ever New Self: Thoreau and His Journal,” which is now on display at the Morgan Library & Museum in New York and will come to the Concord Museum in September. An ambrotype of Henry David Thoreau, 1862. Sophia Thoreau wasn’t just a random family member, after all. She was the only sibling of Henry David to live out his adulthood with him; brother John and sister Helen both died in the 1840s, whereas Henry David lived and wrote until 1862. In the estimation of Wood and other Thoreau experts, Sophia was primarily responsible for the publication of many of Thoreau’s later works — and for the fact that the Concord Museum owns such an impressive range of Thoreauvian artifacts. Leslie Perrin Wilson, curator of the William Munroe Special Collections at the Concord Free Public Library, was equally thrilled and amazed by the unveiling of the daguerreotype. The library is another repository of Thoreauvian treasures, and Wilson emphasizes how important the little-known Sophia was to her brother’s life, both in childhood and in terms of his development as a philosopher, writer and activist. And the timing couldn’t be better, emphasized Carol Thistle, Marketing and Public Relations Director at the Concord Museum. Henry David Thoreau’s actual 200th birthday falls on July 12, and the museum will be making a festive day of it, with “Be Thoreau” decals given to every museum visitor and a chance to sit at a replica of Thoreau’s desk and write him a birthday wish. 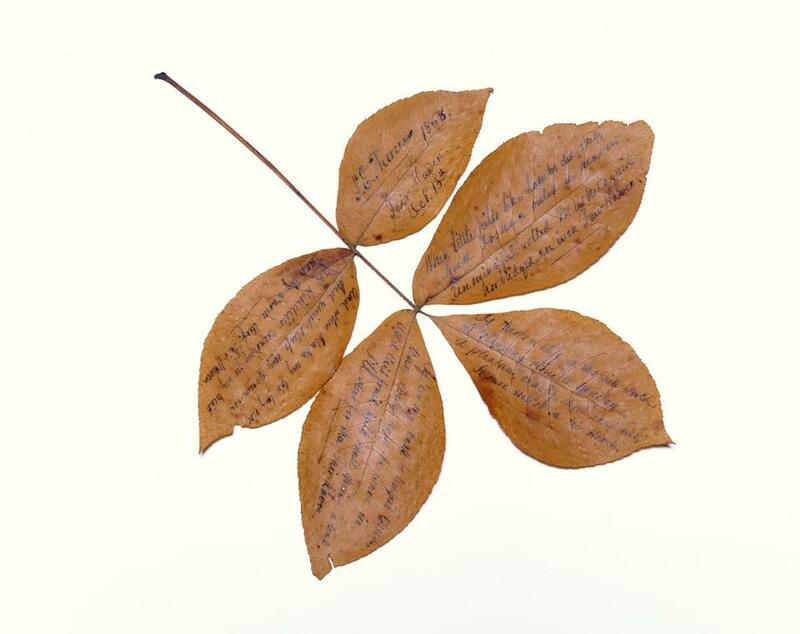 A shagbark hickory leaf inscribed in ink by Sophia E. Thoreau on Oct. 14, 1868.